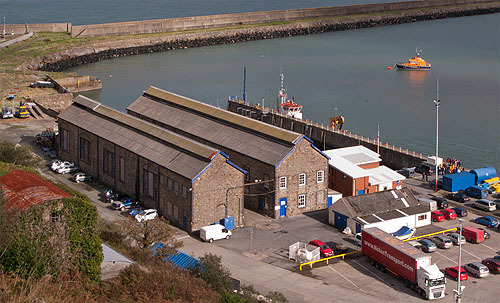 The old sheds , a pair of huge stonebuilt sheds date from the establishment of the harbour . Today’s port structure was built in 1899, having been authorised by the Fishguard and Rosslare Railways and Harbours Act. The lower buildings closer to the water house the RNLI lifeboat station. The current D-class boat, Team Effort, was placed on service in 2006.